Princess Evie is crazy about her ponies. 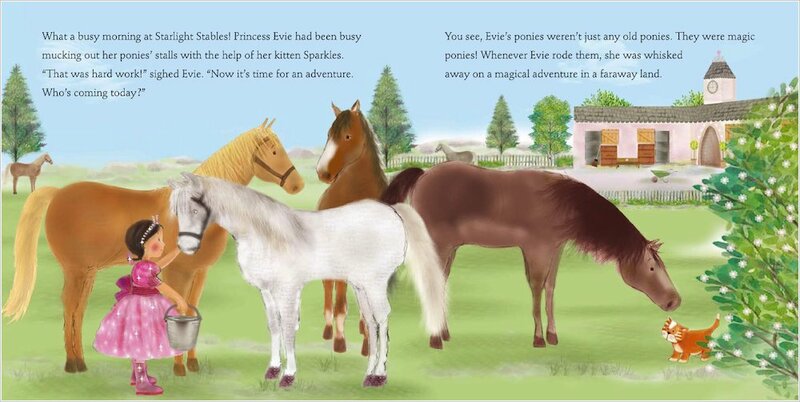 But Evie’s ponies aren’t like other ponies – oh no! 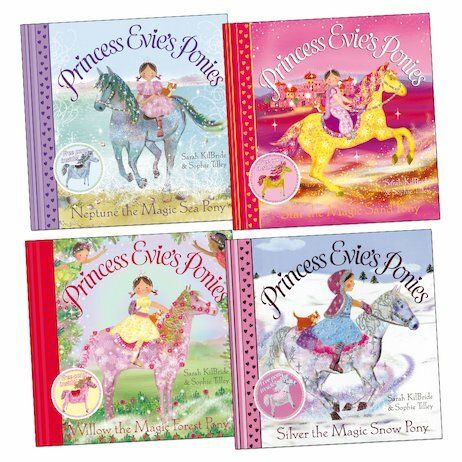 Whenever Evie rides them and canters through the magical tunnel of trees, she is whisked away to enchanting faraway lands! 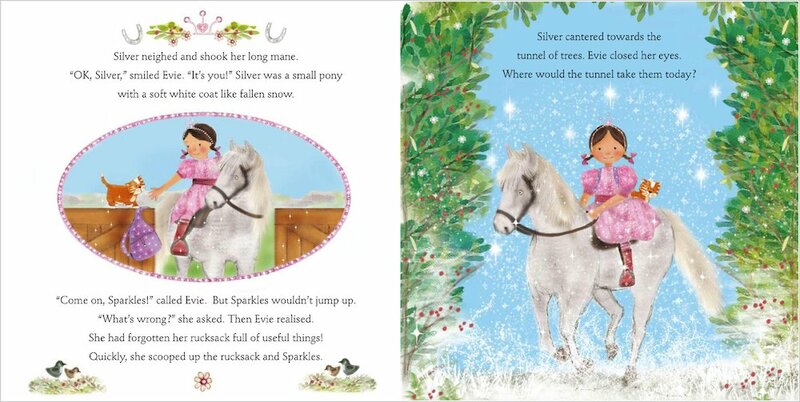 Join Evie, Sparkles the kitten and four beautiful ponies as they visit the desert, the fairy forest, the ocean floor and a sparkly winter wonderland. 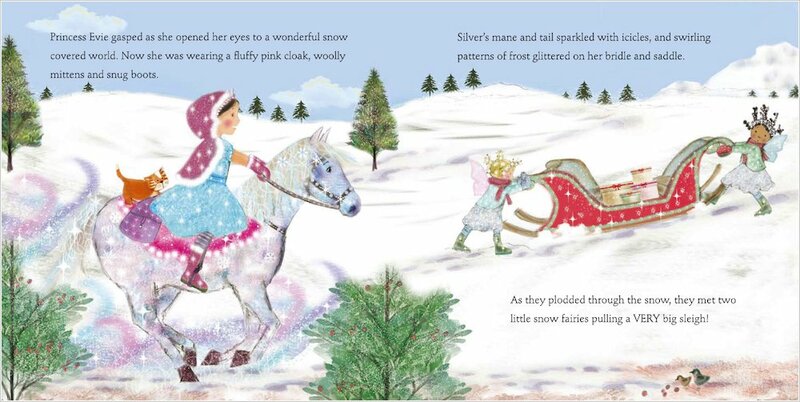 These gorgeously illustrated stories are pure enchantment for any horse-lover, and include a cardboard pony model to assemble and play with. 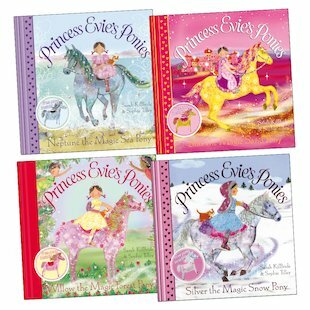 I have read them and they are so cool and fun for 4+’s and very lovible!